Absolique Hair Health Clinic Sydney share results from our combination therapy natural hair loss treatments. 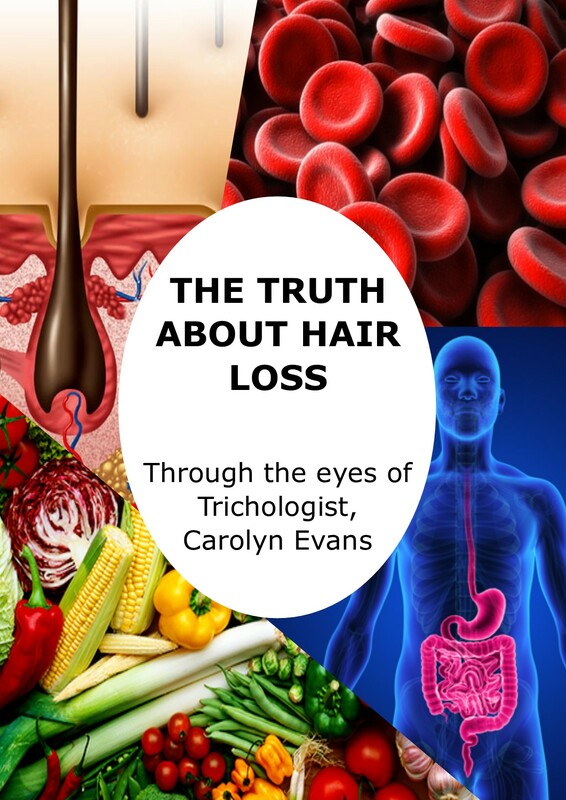 We share the results in hope it will help other woman realise that hair loss and hair thinning can be corrected ending in happiness, healthy hair and health. We share the journey of women who have experienced the heartache of hair loss but have gone through the process of combination therapy hair loss treatments to gain back confidence and a healthy happy life with their normal healthy hair. Correct diagnosis is always the first step to successful hair loss treatments to understand all the causes and symptoms so we can design a solution that fits into your lifestyle. Mrs S is 30 and a working mum with 3 young children. She noticed changes in her hair starting 10 years ago describing phases of hair shedding, hair loss resulting in hair thinning, hair breakage, increased oily scalp and dry, brittle hair. Blood tests showed past and current low iron and vitamin D levels on top of a recent surgery to address hormonal concerns. It’s a good idea to mention to your doctor that you are concerned about hair loss. They will then know the relevant bloods to tests along with general health check and ask nicely to include the additions above. When your blood test results come back, your doctor will ask for an appointment to see you if there are any abnormalities. 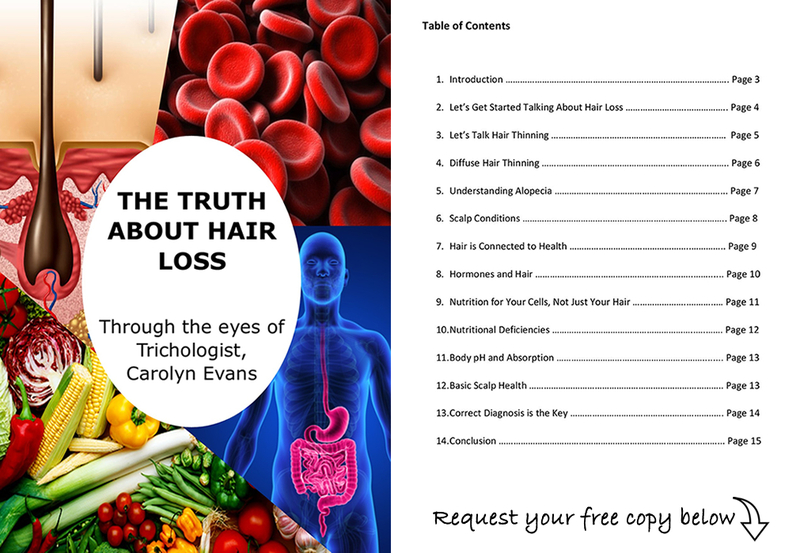 If things are within the bracket range, your doctor won’t need to see you, but please ask for a copy to bring to your Trichologist as we read them a little different for your hair not just general health. What can be in range for general health may be too low for hair growth and be an indicator of other associated levels that can uncover some clue to a body imbalance or nutritional deficiency. Mrs S’s low iron and vitamin D levels were being treated by her doctor which will stop the hair loss but alone won’t regrow hair. Microscopic diagnosis found up to 90% of hair thinning diffusely all over the scalp. This is the result of past diffuse hair loss triggered by low iron and post partum alopecia. When the body is lacking anything or out of balance when the hair is trying to return to the normal cycle it may not grow back to your usual hair type resulting in thin hair, weak hair that is subject to fall and break easily. Every pregnancy triggers Post Partum Alopecia. This is diffuse hair loss that occurs 3 months after birth, or 3 months after finishing breast feeding, or 3 months after your cycle resumes. Some new mums don’t notice this diffuse hair loss, but it is part of every pregnancy and depends on the health of the hair cycle to begin with. This is not to be afraid and just follows on from the hairs you don’t lose in the last trimester of pregnancy which is part of the pregnant glow. Be aware of your health and body balance during and after post partum diffuse hair loss. If there is a lack of nutrients in the body, the hair won’t get what is needs to regrow as per your normal hair type. To correct these problems for Mrs S, we suggested 4 months combination therapy to address all symptoms and causes at the same time. This includes essential nutrients in the supplementary range (SR) with supplements as it can be hard to find and eat all the right foods to provide this. One can see from the before and after hair loss treatments images that we have achieved a good amount of hair regrowth from the result from the first 4 months and will continue on easy maintenance hair loss treatments for continued improvement. Causes of Hair Loss in Women and Results from Hair Loss Treatments Sydney.